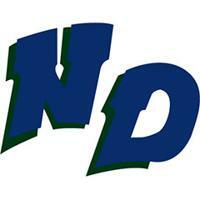 Notre Dame junior Jenna Cuene has been selected as the PlayInTheDells.com Athlete of the Week for the week of June 11 through 17 after a vote on WSN. There were 1,883 votes this week; Cuene received 903 votes, and Jak Lenz of Waupun finished second with 763. Cuene helped the Tritons capture their first state title in program history. She scored the lone goal of the contest to propel Notre Dame past Catholic Memorial, 1-0, in the Division 3 state championship match to end the Crusaders streak of consecutive state titles at six. In the Tritons' 3-0 win over Sugar River in a state semifinal, Cuene recorded an assist.